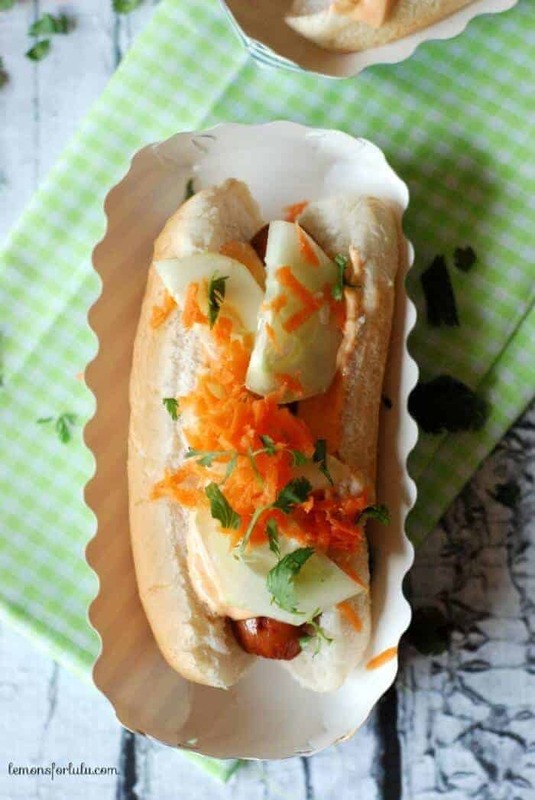 These Bahn Mi hot dogs are for those of us who have outgrown ketchup and mustard! 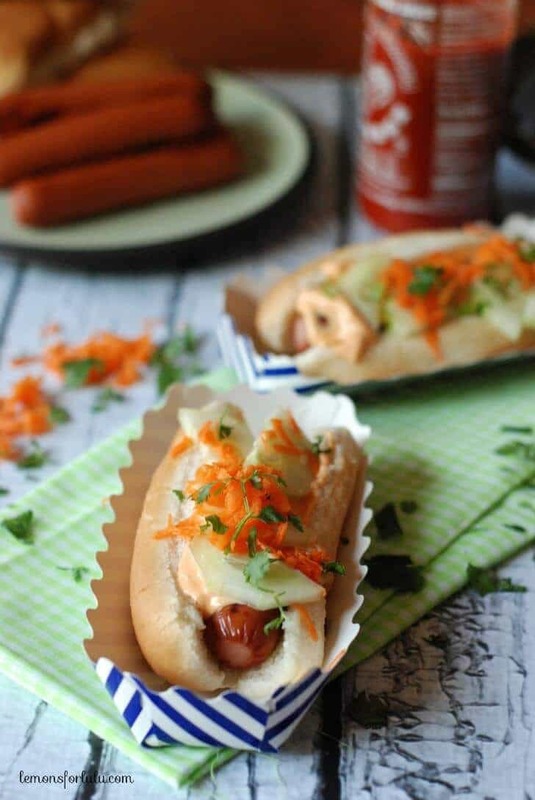 Instead these dogs are topped with veggies and a spicy Sriracha mayo! I’m not a huge fan of hot dogs. I’m not sure I ever was a fan actually. I think it’s a texture thing. Which is the same reason I don’t like bologna. I also don’t like bologna because I cannot really tell what kind of meat it really is. It’s a bit scary to me. The only time I eat a hot dog is when I am at a baseball stadium. There is just something about that particular atmosphere that makes me almost crave a hot dog. I don’t know if it’s the smell of peanuts or popcorn or simply nastalgia, but as soon as I hear the first crack of the bat, I’m dreaming about chomping down on that piping hot, hot dog! I like my baseball hot dog smothered in spicy mustard and lots of sauerkraut. It takes me about 4 bites to eat my undersized, over priced weiner, but I’m always satisified. I won’t crave another hot dog until the next ball game. 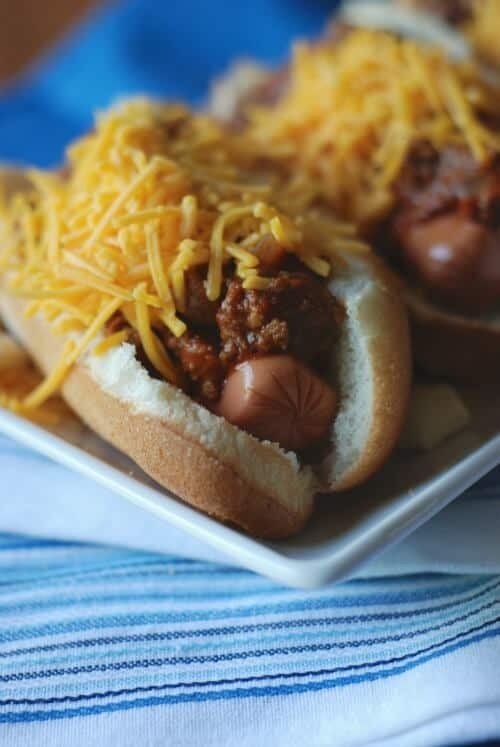 I was fine with this until I received the June issue of Cooking Light and then I found myself craving hot dogs all over again! Especially the Bahn Mi on a bun. It was that Sriracha mayo that got my attention. All this time I was settling for spicy mustard, when I should have been smothering my dog in a spicy Sriracha mayo instead! My world has changed. This was such a fun meal. I used turkey dogs because my family prefers them to the beef variety. The cool, crunchy cucumbers and the sweet carrots were the ideal foil for the Srirach mayo. 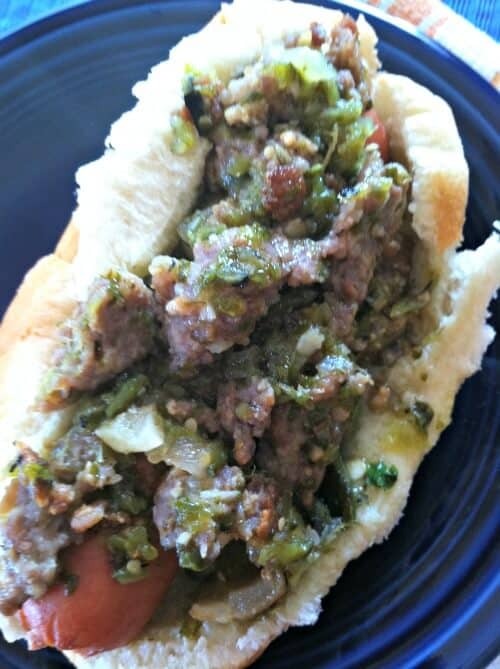 The blend of tastes and texture made this one gourmet dog I’m sure to crave all year long! Prepare hot dogs according to package directions. In a small bowl, combine mayo and Sriracha. 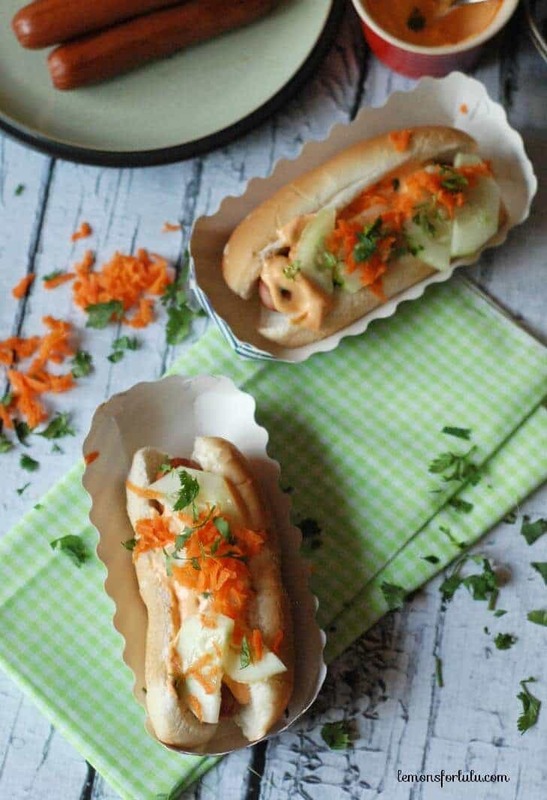 Top each hot dog with spicy mayo and chopped vegetables. 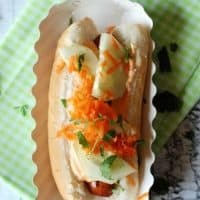 I LOVE Bahn-Mi sandwiches and I KNOW I would flip for these hot dogs! I think you would totally flip Hayley!! Tanya, I have a weak spot for hot dogs of any kind (though I fully understand the aversion–my husband can’t stand them). I love the lovely flavors in this dog, and that you use turkey ones. I might even convince Warren he needs to try one of these! I’d venture to say Warren would be surprised! This was a really good dog! Banh Mi is one of my favorite sandwiches ever!! I love this idea of turning it into a hot dog. I love a good alternative to the standard hot dog! I especially love cucumber on it! The cucumber was a nice little crunch Ashley! Thank you! I am a huge fan of hotdogs and love this version. Pinned to my “Top Dogs” board.